LT Morton T. Seligman in a 1920’s photo. NHHC image NH 45782. Six months into the Second World War, a 46 year old aviator commander had just earned his second Navy Cross for heroic service as executive officer of the largest aircraft carrier in the fleet during the first battle between opposing carrier forces. USS Lexington (CV 2) was sunk at the battle of Coral Sea on 8 May 1942, but when her XO, Commander Morton T. Seligman, U. S. Navy, disembarked at San Diego from USS Barnett (AP 11) on 2 June 1942, his career would be in shambles. Seligman was most fortunate that he was not court martialed for treason or unlawful disclosure of classified material. There are three public versions of how a Chicago Tribune reporter, Stanley Johnston[2. Queen of the Flattops was one of the first of the Pacific War histories, written by Chicago journalist Stanley Johnston about his time on USS Lexington (CV-2) before and during its sinking. It was first published later that year. ], obtained access to highly classified messages providing the Japanese order of battle and U.S. Naval Intelligence estimates of the Japanese battle plans. Most historians now accept the view advanced by the Special Prosecutor, Navy, and the “official story” that Johnston and Seligman were returned together to the West Coast in USS Barnett in May and early June 1942 and that Seligman intentionally – or not – gave Johnston access to decoded Navy messages which became the basis for the story Johnston drafted and which was published by the Chicago Tribune on 7 June 1942, immediately after the Battle of Midway. Finally, one source, which receives little recognition, despite a single but well-known source, states that Johnston claimed that he was transported from the sinking Lexington in USS New Orleans (CA 32) to Pearl Harbor and that on board the cruiser he gained access to the classified messages which he memorized. This is contained in an account written by a physician and published in the U.S. Naval Institute Proceedings nearly 35 years ago. 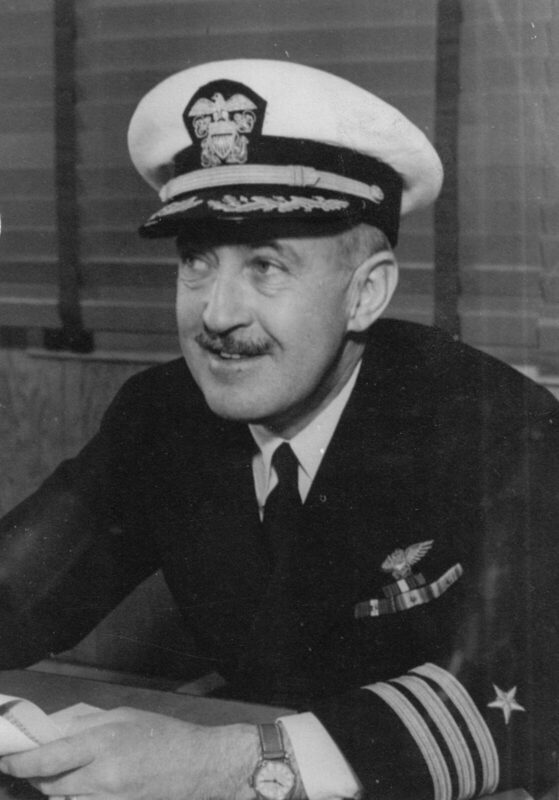 The sole source for this version of Johnston’s coup of a lifetime was the hearsay statements of the principal civilian aide and counsel to the Secretary of the Navy Frank Knox in 1942, Adlai E. Stevenson. Stevenson was the grandson of a vice president of the United States, a future governor of Illinois, twice an unsuccessful Democratic candidate for president (1952 and 1956), and a future U.S. ambassador to the United Nations. Stevenson’s version is the paraphrased account published more than 35 years after the events and nearly 20 years after his conversation with the author, based on Johnston’s account of his own grand jury testimony in the summer of 1942. Application of traditional legal processes regarding hearsay and weight of evidence, the potential biases of “witnesses”, and other credibility tests plus reliance on primary sources may help address the obvious conflicts between these two versions of the truth. 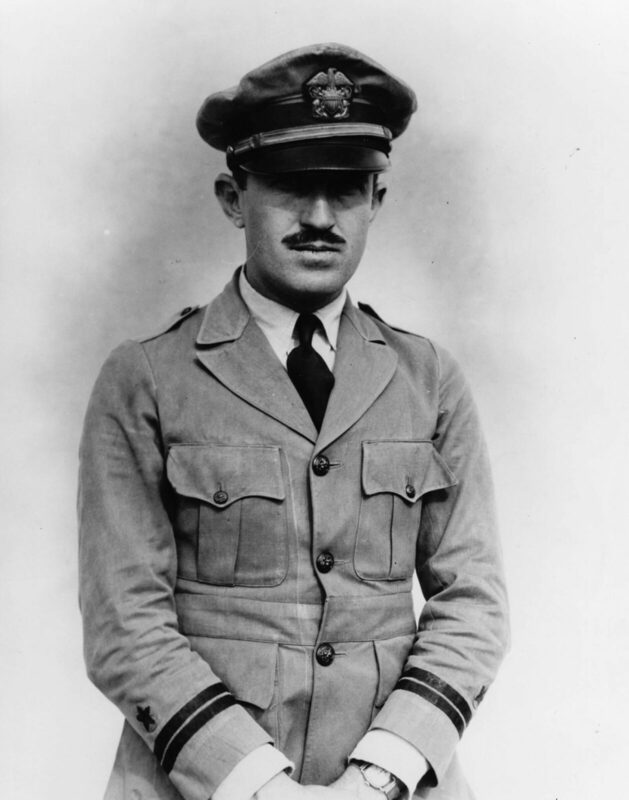 Morton T. Seligman was born in Salt Lake City on 1 July 1895 and was a member of the Naval Academy Class of 1919. He died at the Naval Hospital Balboa (San Diego) while living in retirement at Coronado, California at age 71 on 9 July 1967. His active naval career spanned two world wars and about 25 years. 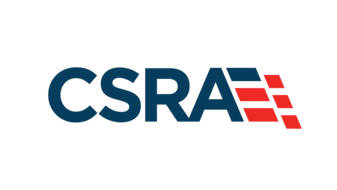 He would live in retirement for another quarter of a century, mostly while the egregious nature of his misconduct was shielded from public view by security considerations. In fact, his death would virtually coincide with the publication of Walter Lord’s Incredible Victory, the first major work addressing the importance of code breaking in the U.S. victory at Midway. Seligman was appointed to the U.S. Naval Academy from Utah, arriving for his first day on 13 June 1914, at age 18 years, 11 months. He was related to a future governor of New Mexico [7. Seligman, Arthur (1871-1933) — of Santa Fe, Santa Fe County, N.M. Born June 14, 1871. Democrat. Delegate to Democratic National Convention from New Mexico, 1916 (member, Committee to Notify Presidential Nominee), 1932 (alternate); Governor of New Mexico, 1931-33; died in office September 25, 1933 (age 62 years, 103 days). Interment at Fairview Cemetery, Santa Fe, N.M. Perhaps one could attempt to draw a connection between Governor Seligman’s involvement in FDR’s nomination and election in 1932 and FDR’s leniency with Commander Seligman a decade later. That is beyond the scope of this monograph. ], and the envelope cover accompanying this article is addressed to a relative in Santa Fe, New Mexico in 1929. The Seligman family were early pioneers of the Southwest. Soon after the capture of the southwest from Mexico, in 1856 Bernard Seligman, Governor Arthur Seligman’s father, joined the Seligman Brothers Company, a wholesale and retail dry goods mercantile established in 1852 by S. Seligman and Charles P. Cleaver. It delivered merchandise from Kansas City across the Old Santa Fe trail using wagons drawn by oxen, mules, and horses. From Santa Fe the company distributed products within a 100 mile radius of the territorial capital and they handled most of the banking and financial transactions in the Southwest. Subsequently, Seligman began his career as a naval aviator. 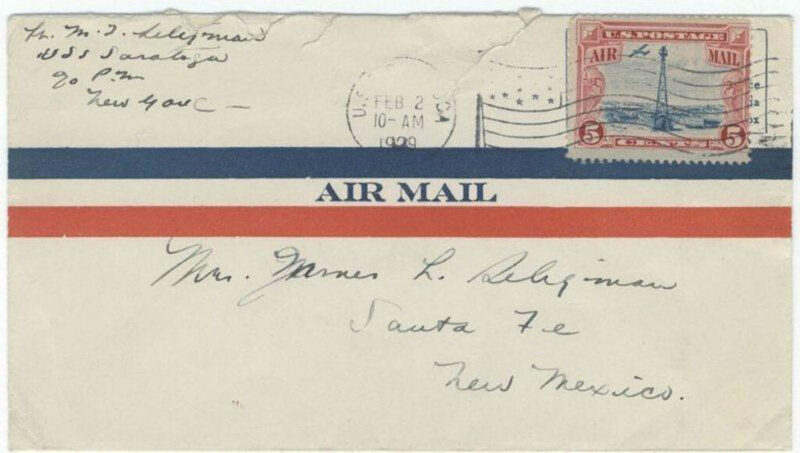 The photo below is an airmail cover postmarked with USS Saratoga’s Type 8 postmark sent by Lieutenant Seligman to a relative in Santa Fe, New Mexico in 1929. Airmail cover postmarked 2 February 1929 with USS SARATOGA’s Type 8 Cancel. Airmail stamp is Scott C11 of 1928. Collection of Captain Lawrence Brennan. VA-14 Redesignated VF-14 : 15 Dec 1949] then VF-1B, as the 14th CO between the summer of 1933 and the summer of 1934. He served in a line of pre-war luminaries including Mustin, Ofstie, Bogan (twice), Radford, Sherman (his immediate predecessor), Wiltsie, and John G. Crommelin. In 1940 Commander Seligman was the technical advisor to a Hollywood movie. Thereafter, Seligman was assigned as Lexington’s executive officer prior to World War II. He served in combat from 7 December 1941 until she was sunk. Based upon contemporary standards and practices, the lack of formal punishment imposed on Commander Seligman is surprising. Contrast what happened to Seligman for this wartime leak with the serious punishment imposed upon modern spies absent declarations of war and direct combat – the Walker Ring, Pollard, Ames, et al. True, Seligman’s leak was to the media but the newspapers promptly published the information for all to see. This was a different era, gentlemen did not publicly embarrass each others, Secretaries of the Navy and CNOs were not obsessed with “piling on” officers at the premature ends of their careers, and presidential promises were worth the word of the command-in-chief. Most importantly, everyone in Navy – including Seligman – were united in the desire to avoid any leak of the actual secret regarding penetration of the Japanese naval codes. So, Seligman was not prosecuted, the civilians were not threatened with court-martial, and not even a flag mast was conducted to “award” a nominal fine and a punitive letter to Seligman. Imagine the poor OPNAV staff officer in charge of punitive letters for Admiral King tasked with drafting a punitive letter for Commander Seligman – how to write what could not be put on paper and about a subject he was probably not cleared to know. That captain would know only the proper letterhead (OPNAV or CINCUS), the “from, to, subject, and reference” lines. Seligman served nearly two more years on active duty. He knew too much and could not be sent back to sea. Those in the know knew why he was ashore but for others the sight of an aviator commander with a gold star on his Navy Cross after a CV XO tour must have been confusing. The motive for Seligman’s misconduct remains unclear although it is improbable that he intended to convey the existence of the code breaking capabilities to the Japanese. More likely, he wished to help a reporter he viewed as a friend and expected was bound not to disclose secret information. This incident suggests that access to information based on code breaking, and thus general knowledge of those capabilities, was widespread in the fleet. Despite the decision by Admiral King, the Secretary of the Navy, and President Roosevelt to prevent Seligman from becoming a captain, this article properly reflects his retired title. Following the practice that existed until 1958, a Tombstone promotion was given to Commander Seligman upon his retirement by virtue of his combat service resulting in a significant personal award for combat valor. When Seligman acted as the technical advisor to the 1945 World War II movie, “Bell for Adano” he was listed in the credits as “Captain Morton T. Seligman, U.S. Navy (Retired). “ He continued to use the title of Captain, to park in Captain’s spaces at the Officers’ Club, the hospital, exchange, and commissary, and even in his obituary. An investigation revealed that the article was written by a Tribune correspondent, Stanley Johnston, and filed from Honolulu. There had been a serious error when, some months before, he had not been asked to sign accreditation papers as a war correspondent attached to the Navy. This freed him from submitting for censorship everything he wrote. All of this is not new, but 35 years later at least three different authors have asked, and at the same time have told us, how Stanley Johnston did it! On 9 July 1971, on the “Op-Ed” page of The New York Times, Clayton Kirkpatrick, editor of The Chicago Tribune, wrote that Johnston’s “remarkably accurate deductions,” from recent experiences in the Battle of the Coral Sea (3-6 May 1942) [sic], enabled him to tell readers in great detail the complex Japanese plan of attack on the Aleutians and Midway Island! Also, he returned to Chicago to write the story! Then-Commander Edwin T. Layton, senior intelligence officer for the Pacific Fleet in 1942, placed Stanley Johnston in USS Saratoga (CV-3) which was just emerging from the San Diego repair yard and was rushing to help in action at Midway. 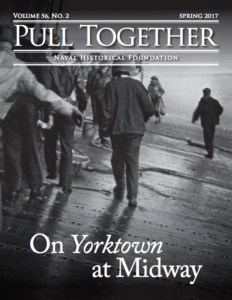 In a U. S. Naval Institute “Oral History,” Rear Admiral Layton relates that someone posted on the wardroom bulletin board a dispatch from Admiral Nimitz which revealed Japanese Admiral Isoroku Yamamoto’s operation plan for the attacks on the Aleutians and Midway Island. It was there Stanley Johnston acquired his information! Philip Knightley, in his book, The First Casualty (Harcourt Brace Jovanovich, 1975), finds Stanley Johnston in a naval transport en route to California. Somehow he put all the pieces together while the Battle of Midway was in progress after his arrival in Chicago. Unfortunately, Doctor Sanger’s facts are as wrong as are those of the three authors who he correctly criticizes. First, Kirpatrick simply was in error when he suggested that Johnston had simply, but amazingly and incredibly, deduced his article from his experience at the Battle of Coral Sea in May 1942. To understand the Japanese employment of carrier groups and amphibious forces in a most general way might be credible but to seriously suggest that Johnston was able to reach the level of detail that was published is incredible. Second, Admiral Layton simply was wrong when he placed Johnston on board Saratoga, the sunken Lexington’s sister ship, which had completed repairs on the West Coast and was “racing to Hawaii” to arrive just too late to participate in the Battle of Midway. Perhaps the passage of years, confusion, and weakening of memory contributed to Admiral Layton’s clearly erroneous memory. Finally, Knightley correctly noted that Johnston was en route to the West Coast in a U.S. Navy transport but failed to account for how he was able to send his story to his editors in Chicago to complete their rewrite in time for the Sunday, 7 June 1942 deadline. Knightley is close to factual truth but he is incomplete in his account. But even if Doctor Sanger were correct that all three authors were wrong, and they were, this would not compel the conclusion that Johnston’s account and Stevenson’s recollection were correct. The crux of the Johnston grand jury testimony version was based on Doctor Sanger’s March 1959 meeting with Adlai Stevenson. I asked him what he knew of the Stanley Johnston article since he had been a special assistant to Secretary Knox from 1941 to 1944. Stevenson said that Stanley Johnston told the Grand Jury that when he abandoned the mortally wounded USS Lexington (CV-2) in the Coral Sea, on 4 May 1942 [N.B. the correct date was 8 May 1942], he was picked up by a motor whaleboat from the USS New Orleans (CA-32), along with 580 others. After dropping the survivors in Noumea, the New Orleans proceeded to Pearl Harbor, where she arrived on 26 May 1942. Being a war correspondent, Johnston had free run of the ship and was not deposited in Noumea. Presumably, Stevenson had access to the confidential grand jury transcript or a synopsis of Johnston’s testimony. Certainly, he would have received reports from the Department of Justice and the Special Prosecutor. Perhaps, Johnston was interviewed by Stevenson and others at Navy including Vice Admiral Wilson and repeated for them what he had told the grand jury. In any event, there are grains of truth in this account. New Orleans was involved in the rescue and transport of Lexington survivors to Noumea before proceeding to Pearl Harbor then returning to sea for the Battle of Midway. But other sources, primarily the contemporaneous interviews of Lexington survivors on the West Coast in early June 1942 – particularly Lieutenant Commander Dixon, suggest that Johnston was on board Barnett along with Seligman. Of course, the ships’ manifests should be the best evidence. If Seligman and Johnston were separated at the time of the loss of Lexington then Seligman could not have been the source of Johnston’s illegal access to the classified messages and then Seligman and his reputation would have been the innocent victims of the most egregious railroading in naval history. But there is no record of complaint by Seligman or any supporters. Seligman was dead a decade before Doctor Sanger’s article was published and most of the principals also were long gone before the details of the code breaking were published in Walter Lord’s seminal Incredible Victory in 1967. If Johnston’s account were true he would have had to “illegally” entered the sea cabin of New Orlean’s commanding officer and read the classified messages (which were improperly left in the open, a serious security breach). But even more troubling is the claim that Johnston memorized the messages. No matter how strong and well-trained his memory may have been it is a stretch to assume that he could memorize and differentiate the names of Japanese ships which were confusingly translated into English. In sum, the account of Johnston’s Grand Jury testimony advanced by Mr. Stevenson is improbable and self-serving. King and the OPNAV staff had an imperative mission to explain away the coincidence of the three carriers off Midway prior to the appearance of the Japanese fleet. Yamamoto had expected to lure the U.S. fleet out to defend Pearl Harbor but after 4 June he had to realize that the U.S. carriers were pre-positioned to the northeast of Midway. That crucial issue was overtaken by the Sunday edition’s front page articles in the Chicago Tribune and Washington Times-Herald which reported the Japanese order of battle and the fact that the United States knew that the attack on Alaska was a feint and the capture of Midway was the crucial attack. The immediate focus in the halls of power was to investigate and control the damage posed by these two articles – a far greater threat to the crucial secret than the fact that the Nimitz had ambushed the Japanese fleets. Again, according to Prados, the scene at Navy that Sunday was not one of celebratory glee over the victory at Midway but focused rage. Commander Arthur H. McCollum, ONI, Far East intelligence maven … encountered the flap in full progress. “The place was shaking,” he recalled … Wondering how these emergencies all came on Sunday, McCollum went to see “Savvy” Cooke, a senior aide to naval commander in chief, King who practically accused him of giving the story to the Tribune. The two argued until McCollum heatedly asked for a chance to compare the news stories with data and ONI files. Cooke allowed him to do so. It is imperative that all survivors Coral Sea action being returned Mainland be instructed that they are to refrain from any mention of the action upon their arrival west coast port. Com11 is requested berth transports where debarkation can be conducted without contact with newsmen. All personnel will probably require reoutfitting. There will be no publicity regarding this matter until Navy Department release. Barnett and Elliot will stop at San Diego to discharge excess personnel en route San Francisco. CDR Morton T. Seligman in June 1942. National Archives image 80-G-20057. Damage control rightfully was the mantra of OP-20-G which sought a plausible cover story. OP-20-G urged safeguards to prevent the loss of a vital advantage. King’s reiteration of his restrictions on distribution on 20 June implied that reason prevailed. Questions concerning the appropriate applications of communications intelligence during wartime continued to arise. A new paragraph was inserted in the “Code of Wartime Practices for the American Press” by the secretaries of war and navy and sent to the director of censorship for implementation. The Chicago Tribune was in the hottest spot in many a year. A Federal grand jury in Chicago this week begins to investigate a Government charge that the Tribune, in a story on the Battle of Midway, published information that might be useful to the enemy. Newsmen in Washington had known about the case for weeks (but had been requested not to report it). 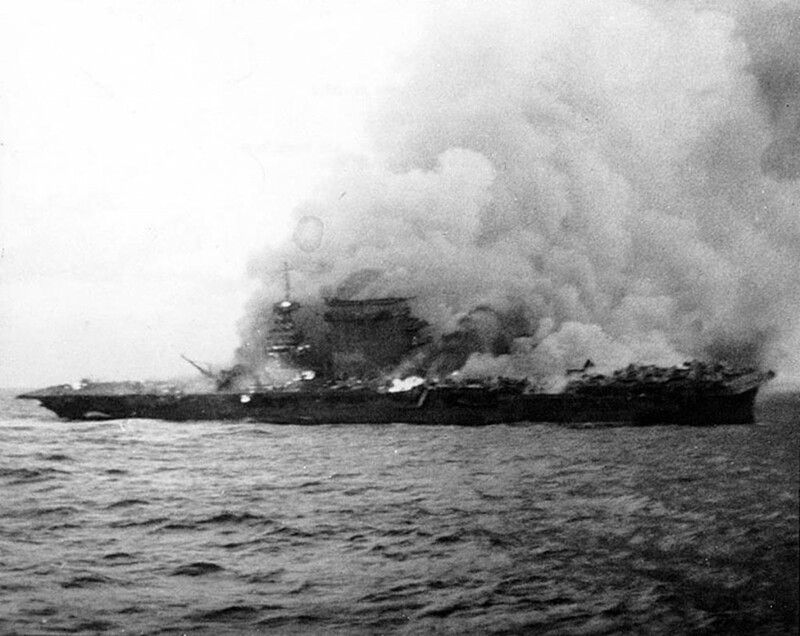 The Tribune’s story—date-lined “Washington” and published on June 7—declared that the Navy had known about the Japanese plans for the attack on Midway. It backed up the assertion by giving detailed disposition of the Japanese fleet in three attacking forces. A scene in the 1980 science fiction movie The Final Countdown was eerily similar to an imagined exchange between Johnston and Seligman on board Barnett. In The Final Countdown version, the CAG EIGHT character, CDR Faraday, played by James Farentino raises the personal privacy issue when he discovers the civilian efficiency expert Martin Lasky, played by Martin Sheen, has entered CAG’s stateroom via their common head. CAG is writing a paper about the Japanese attack on Pearl Harbor, and of course the movie transports USS Nimitz (CVN 68) from 1980 back to 6 December 1941 with the opportunity to pre-empt the attack and destroy the Imperial Japanese Fleet. When discovered, Lasky, the brazen civilian intruder is openly reading CAG’s notes and reviewing the widely published IJN aerial photograph of the torpedo attack on battleship row. Perhaps the scene, in the movie produced by the Kirk Douglas family’s company and staring the famous patriarch as CO of Nimitz, was coincidental or could it have been based on the Johnston-Seligman scenario. Today, the story of the Chicago Tribune publication of these stories is used by academics, the media, law students, and even the armed and naval forces as an example of how to cope with critical issues in conflict between First Amendment rights and national security [33. www.pbs.org/thewar/downloads/censorship.pdf] Perhaps the better alternative would be Admiral King’s method of having regular off the record discussions with the press, with or without alcohol, and telling them his plans for future operations and then swearing them to secrecy. I am not sure Admiral Fox Fallon or General Stanley McChrystal would agree with King but after their disastrous encounters with the media they both were forced to retire as four stars and enjoyed retirement ceremonies and they too received end of tour awards.